Fosse House, home of the reclusive Luisa Gilmore, harbours curious secrets – secrets that stretch back almost a century, to the ill-fated Palestrina Choir in its remote Belgian convent. 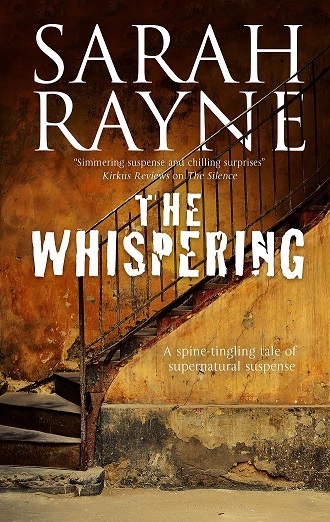 When Oxford don, Michael Flint, travels to the house to trace the origins of the long-dead Choir, he is at once aware of the house’s eerie menace. Who is the shadowy young man who tries to get into the house every night, and why does his exact likeness appear in a sketch from 1917 and also a photograph from 1944? And why is Luisa so afraid when a storm makes it necessary for Michael to spent the night inside the house? The atmosphere of the old library – the scents of leather and vellum, the crowded shelves and stacks of what looked like manuscripts and unbound books – beckoned to Michael invitingly and insistently. It was impossible to ignore them. He sat on the edge of the table and opened the folder, which contained thick wodges of hand-written notes on various sizes of paper, clearly from several different decades. The box held a mass of miscellaneous material, including several pages of typed notes, which looked as if they had been taken from reference books. He was distantly aware of his hostess saying something about the contents of the room having been sketchily catalogued some years ago – something about someone writing a thesis which had never been completed – but he scarcely heard, because a sheet of paper, half folded inside an old envelope, had partly slid out from the clipped papers. It was a letter, hand-written but in writing so erratic that Michael received the impression that urgency or despair had driven the pen. The stamp on the envelope was foreign, and did not convey anything particular to him, but the letter was on thin, age-spotted paper, and the date at the top was November 1917.